Passion. Hubris. Foolishness. When is a man’s charge to war a “call of righteousness” and when is it ego? Men all too often become consumed with their passions to right a perceived slight; all too often set afire by their quest for power. In that heat of passion, of indignation, of perceived righteousness a man’s ability to reason is often overwhelmed and his ability to coolly assess his best and most appropriate way forward is too often lost. Foolish pride, many say. Hubris. But can a man’s poor judgment, his woeful and deplorable actions be explained by simple hubris? When a man strays; when a leader is caught in the harsh public glare after his misbehavior, what are we to make of it? Whatever makes a man, a good man at heart, a man dedicated to what is best, stray from his good judgment? What makes a leader, a rabbi, lose his way? Any leadership role is demanding and difficult. Every leader confronts conflicts, scrutiny, opportunities and consequences. But I would suggest that the challenges, the rewards and the consequences are even greater for a rabbi. A rabbi never gets to “punch out.” The clock is always on, twenty-four, seven. He lives in a fishbowl in which every action, every gesture, every comment is scrutinized, parsed, and assessed. The expectations are endless – religious authority, psychologist, social worker, mediator, teacher, lecturer and so much more. Of course, along with those many demands comes a great deal of satisfaction. There are few roles in which one can feel certain that he has made a difference, that he has helped a marriage, guided a youngster, inspired a congregant. Indeed, these successes can sometimes fuel a sense of “invincibility” in rabbis, perhaps even a degree of hubris. All those “pats on the back” can inform and distort a rabbi’s quiet, reflective moments, exaggerating his sense of who he is. After all, all those people thanking him, showing him respect, donating money in his honor… all those people must be right! And yet, a rabbi is but a man. Despite the exaggerated sense of self his accomplishments might create, he must return to his study and his home, remove his tie and… confront the simple truth that despite his accomplishments, he remains fundamentally lonely. At the end of the day, who is to be to him what he has been to others? It is the rare congregant who sees the “human” in his rabbi, who sees that essential conflict between the public leader and the private individual. It is in this space, this gap, between public success, even adulation, and private, often lonely existence, where darker urges and needs seek and sometimes find a form of “escape”. Consciously, the rabbi knows these urges and needs are wrong but in that dark place, that isolation and loneliness, he struggles for perspective. It is not hubris. It is not foolishness. It is something else, something that could often be blunted if only the rabbi had a genuine friend to whom he could unburden himself; if only he had someone he could confess the strange and crazy thoughts he is thinking, the unwise things he is contemplating doing simply because he cannot imagine himself continuing along this demanding path, day in and day out. But he has no friend and, as we have come to know, the result is sometimes disturbing and wrong. Perhaps Korach found himself in a similar, dark place. Certainly, as the rabbis teach us, the Korach rebellion offers us a case to consider. Our understanding of the “facts” is straightforward. Korach, a wealthy leader of the Levites, and a cousin of Moses and Aaron, felt slighted by being overlooked when the highest priestly honors were distributed. Jealousy and envy colored his relationship with Moses and Aaron, as well as his cousin, Elzaphan, who had been placed at the head of the Levites after Aaron's family had become elevated to the rank of Kohanim. Recognizing that his riches and standing were not enough to undermine the people’s faith in Moses and Aaron, Korach sought a rebellion to overthrow their leadership. He went to the people of the tribe of Reuben and convinced their leaders to join him in his conspiracy, aligning with Dathan and Abiram, troublemakers from their days in Egypt. With his co-conspirators, he went on to convince as many as 250 leaders to join him in rebellion. 250 men of standing! Emboldened by their numbers, they felt ready to directly confront Moses’ leadership. The horrible result is well-recounted by the rabbis. BaMidbar Rabbah tells of how Korach suffered the double punishment of being burned and buried alive. Indeed, the very earth became like a funnel and everything that belonged to him fell along with him into the chasm. How much better for Ohn, the son of Peles, who had a good and wise woman at his side! She acted as a true friend, setting him straight indeed! As the Talmud in Sanhedrin teaches, “If Moshe wins you will be subservient. If Korach wins you will still be subservient.” In other words, look what you’re being asked to get into. What’s the point ? What will you gain? What’s the point? At the end of the day, it is this question that a genuine friend must ask. If you do this thing, what is the point? What will you gain? The sad truth is that, even in the largest of congregations, a rabbi can remain friendless. A “connected” rabbi can have a thousand friends on Facebook, and ten thousand Twitter followers, but he can still be friendless in the truest and most important sense. It is impossible to live a friendless life. Either friendship or death. Pirkei Avos insists that we “buy for yourself a friend.” Not a “virtual” friend. Not an acquaintance. Not an acolyte. A real, honest-to-goodness “I’m there for you” friend. I know his hurt was real. I know how he felt. Too often, rabbis cannot trust even those they thought they could trust. None of this is to excuse the recent, disgusting behavior of a handful of rabbis. The behavior must be condemned without qualification. But perhaps it might benefit us to try and understand the context of such deplorable conduct. Might they have behaved differently if they had had someone to talk to, someone who could “rein them in”. Thus the verse in Bereishis announcing God’s creation of woman, communicates an eternal truth - that there are times a wife can best be a helper [eizer] by being [k’negdo] by being against him. Too often, men judge their friends and wives on how readily they agree with them. Such men are poor judges indeed. R’ Chaim Shmulevitz explains that dispute, conflict, confrontation and chaos inevitably cloud a person’s rational thinking. Fury, anger, emotions and tensions simply do not allow for one to view situations clearly and honestly. It is then, in the midst of that heat of passion, that simple, rational advice and guidance from a well-meaning, caring wife is praiseworthy. 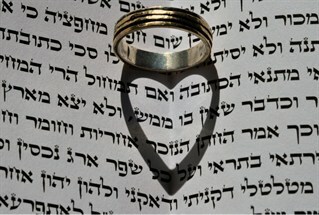 To have a level-headed, clever wife at one’s side who can see and evaluate life’s situations especially when chaos and confusion reigns supreme, and who can lead her hot headed husband away from his shtik is a wife such as Mishlei calls wise.